Serving up freshly sliced deli meats and cheeses all day long. We have plenty of "normal" options, along with some that we think will become your new favorites! 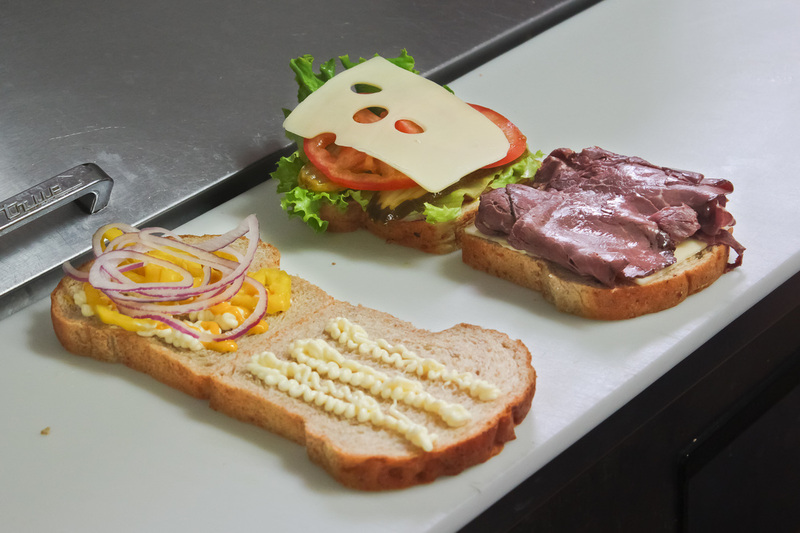 We offer a selection of fresh sandwiches that we make only after you order them. We do not make them ahead and let them wilt before you eat them–these are fresh. 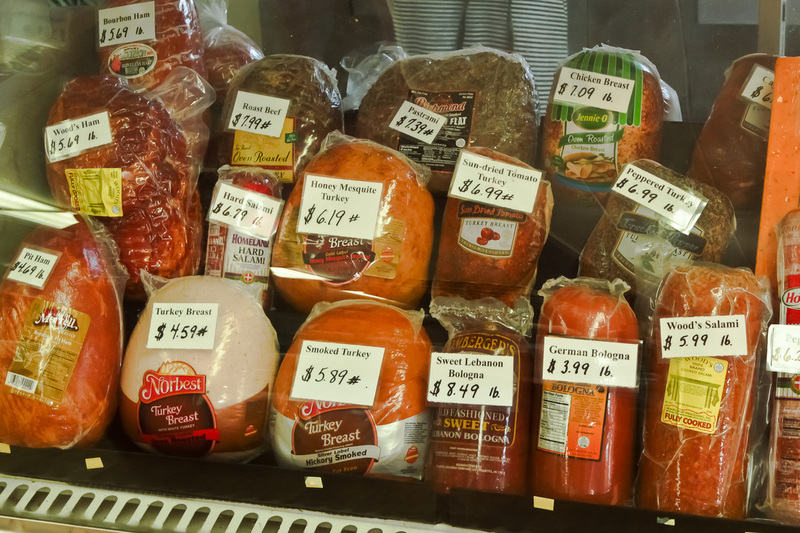 We offer several suggested meat and cheese combinations, but you can mix and match from any meat or cheese we have prepared. We put them together with your choice of vegetables on your choice of our own homemade bread. 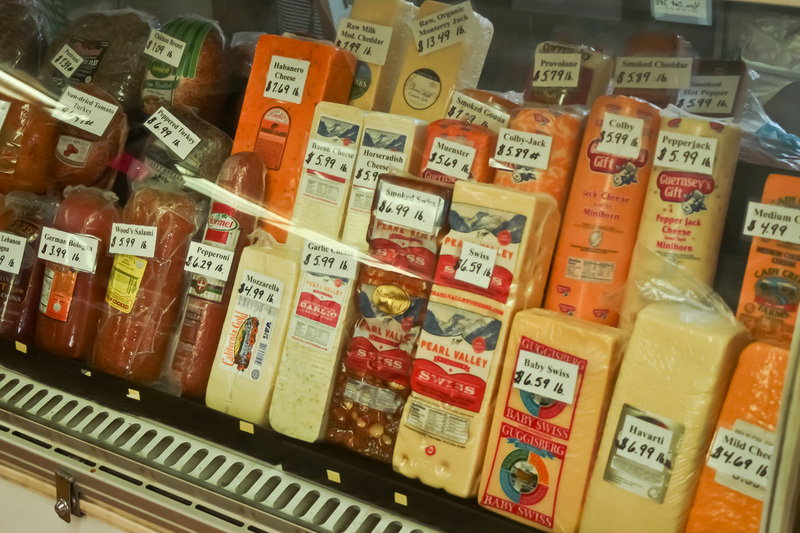 We offer a wide variety of meats and cheeses to be sliced to your order here at the deli. 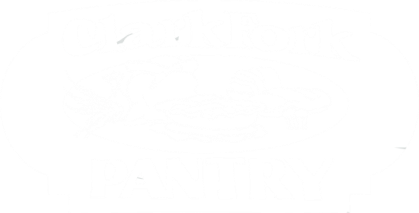 In addition to the standard choices, such as roast beef, chicken, Swiss cheese, and cheddar cheese, we also have a few options that we expect to become some of your new favorites, such as sun-dried tomato turkey, smoked Gouda, honey mesquite turkey, and even a Monterrey jack cheese made from raw organically raised milk. 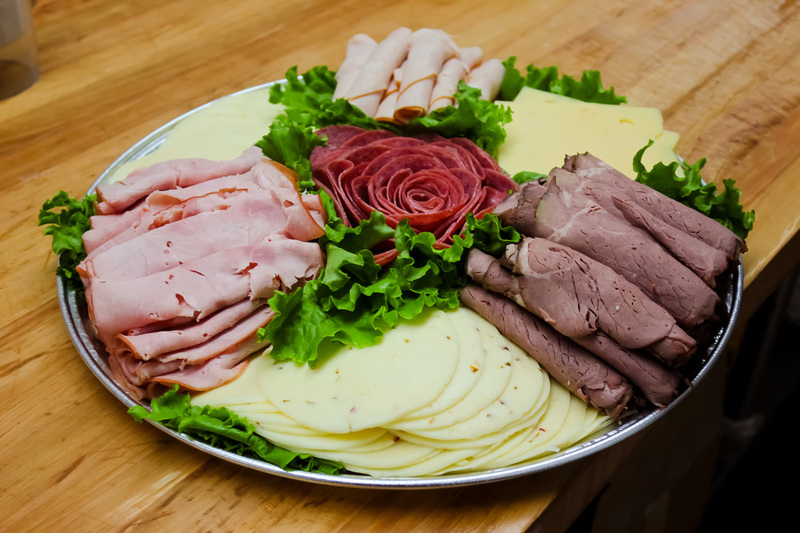 By special order, we can create a meat and cheese deli tray for you, whether for a party, family gathering, or some other special event. We typically use three types of cheese and four types of meat, and offer three sizes to fit most needs. Contact Us for details, or stop by and ask at the deli.